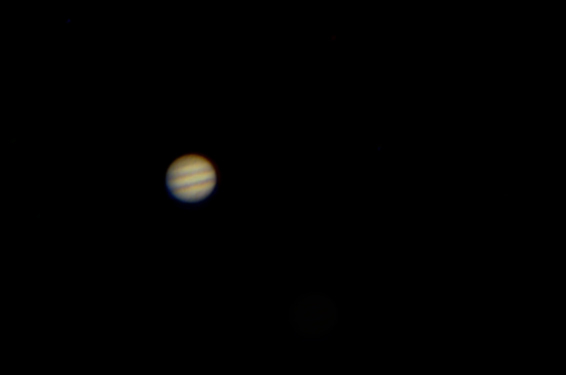 So, I exported an image sequence from some video I grabbed of Jupiter early in the evening yesterday. Randomly opened five in pshop and manually stacked. Here’s my first stacked image of Jupiter.